A super model of the sea monster Dolichorhynchops. A huge marine reptile from the Cretaceous, a Collecta Dolichorhynchops. Charming! A little small, but very gracile and mine has perfect painting. Feels very down to earth and brings more variation to a collection. Nice model, colours a bit drab, should be at least twice the size but a nice model. amazing model of the marine reptile dolichynchops. a brilliant model. Excellent service. Fact sheets were a very welcome addition to the purchase. I like the way in which you stock the more obscure dinosaurs/sea reptiles. Simply best model of this marine animal. The sculpt and paint scheme are excellent! I totally recommend this figure for demanding collectors and for kids as well. Thanks to Everything Dinosaur for the excellent service. At long last I can get my hands on this! Have been itching to get it ever since I saw the proposed release picture. Possibly the most accurate interpretation yet of a “dolly” ? 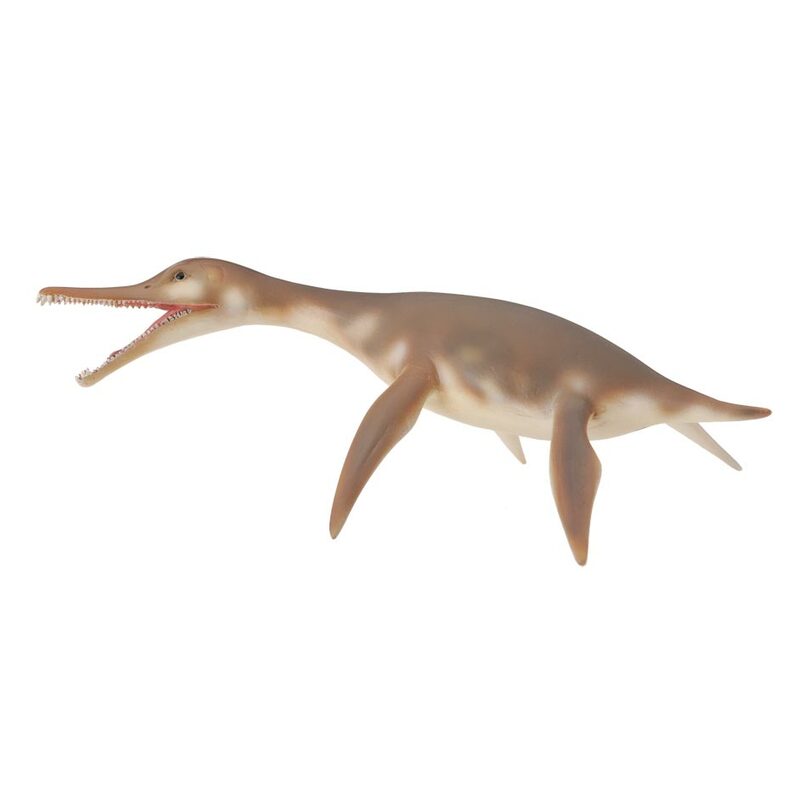 Together with the other 3 CollectA models of Plesiosaurs this makes a very nice little set and only needs a good Ichthyosaur, or two, to complete the series. I hope CollectA will take the hint.